Have you ever seen a picture with great colors and wanted a color scheme based on that image? 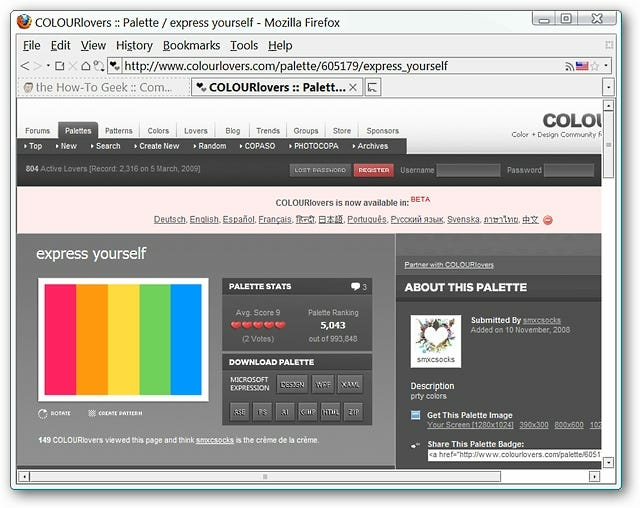 Now you can get those color schemes easily with the ColorSuckr extension for Firefox. 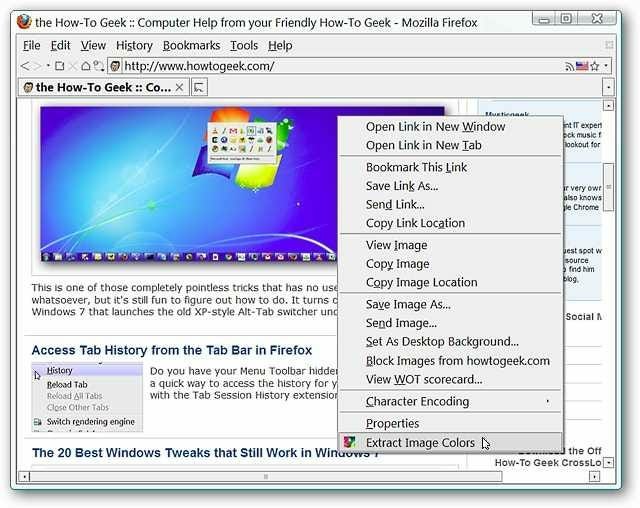 Note: For those using browsers other than Firefox, you can directly access the ColorSuckr website (link at bottom of article). Once you have the extension installed you are ready to go. There are no options or settings to worry with…just click and go goodness. 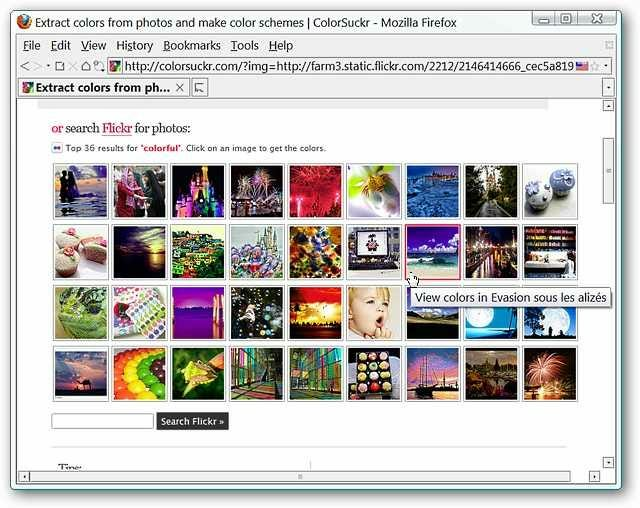 We decided to use ColorSuckr on a recent blog image and see what the results were. 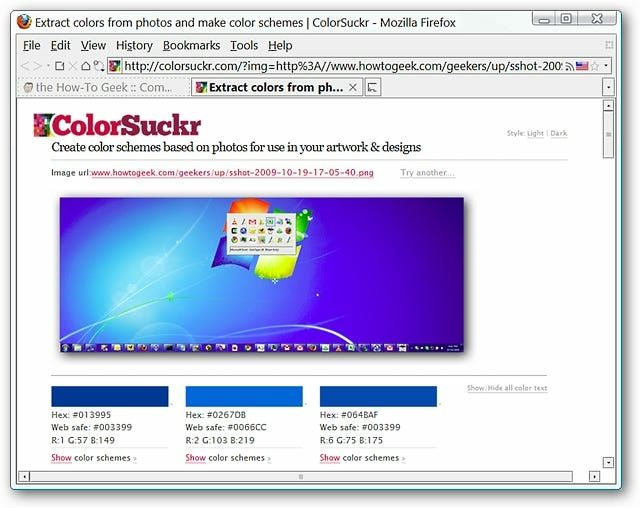 You will then be presented with a ColorSuckr webpage displaying the image in question and a color layout of the twelve most common colors in the image. These are the twelve colors shown for our example image. 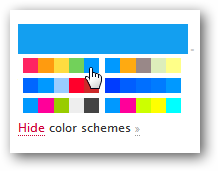 There are three color codes presented for each color and then a link to see a color scheme for that particular color. 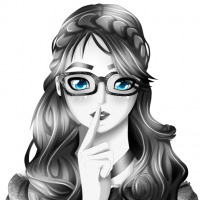 We decided to select this color from the original image…there are six color schemes available for this shade of blue. 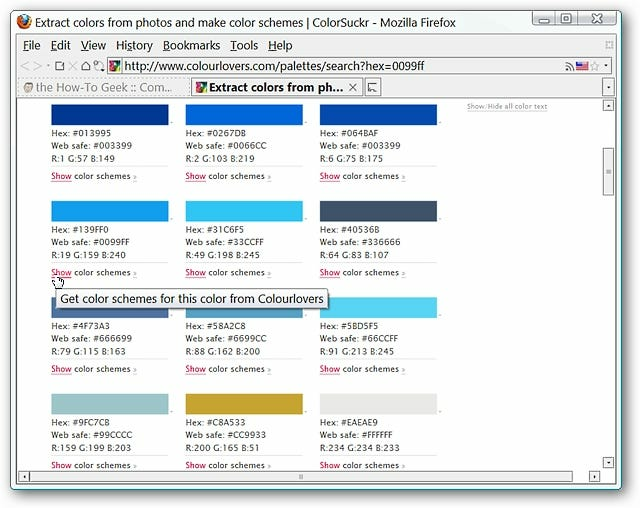 Clicking on one of the color schemes will take you to “colourlovers.com” to show you the color palette and additional information for your selection. 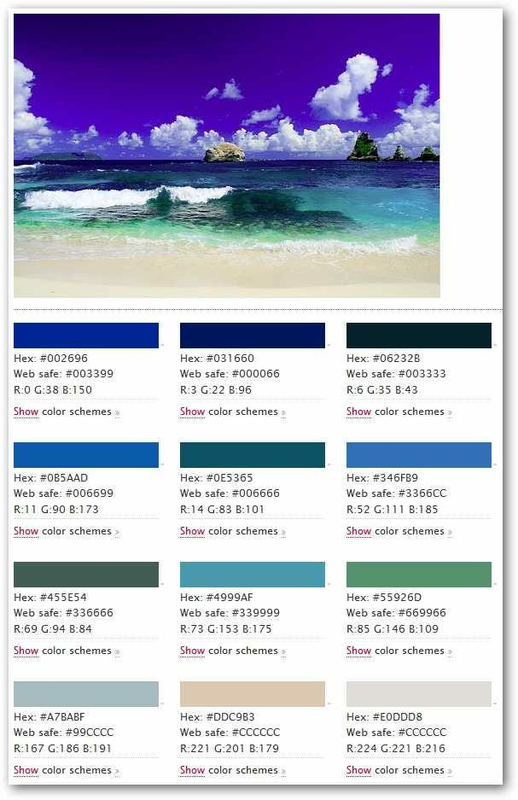 Scrolling down the page will show more detailed information for each of the colors shown in the palette. For our example we decided to try one of the recommended photos. These are the results for the example photo. 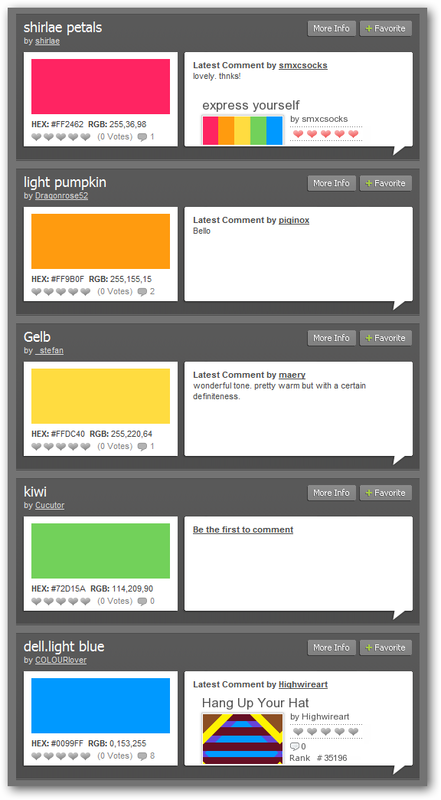 As with the extension you can select the color that you like best and view the color schemes available for it. 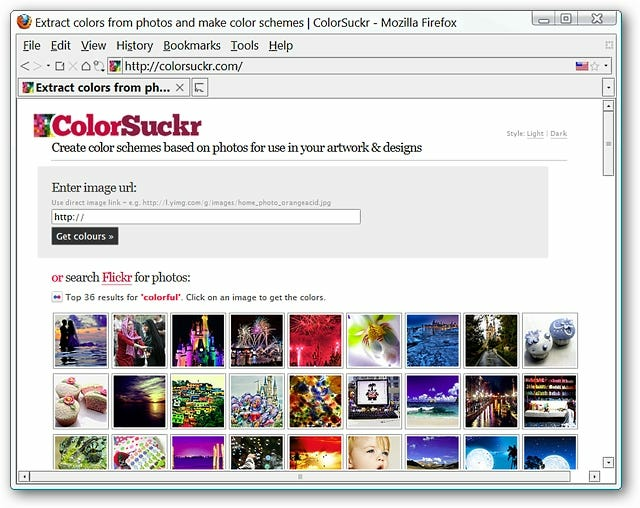 If you are looking for a quick and easy way to get a color scheme from a beautiful image, then the ColorSuckr extension and homepage will easily provide excellent results.